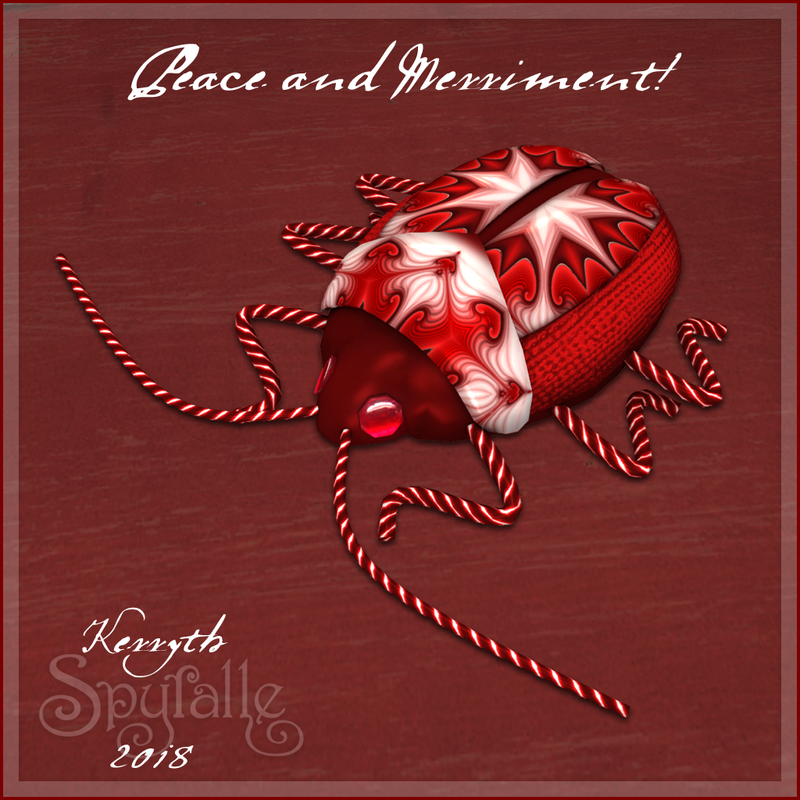 The Christmas Beetle was a gift to Spyralle subscribers and should still be in the history as of this writing. It comes in two versions – one rather large for your decor and one much smaller for wearing as a brooch. Spyralle Studio members also received this gift. More VIP gifts will be coming out during the New Year – Twelfth Night week, which is the Spyralle tradition. The model wears the Rib Knit Dress and F603 hair from tram, LAQ’s Noelle bento head with LAQ Noelle skin, IKON eyes and a personal shape. This entry was posted in Specials and Gifts and tagged Christmas, Jewelry, Spyralle. Bookmark the permalink.